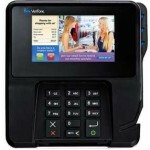 Verifone MX915 signature capture terminal. 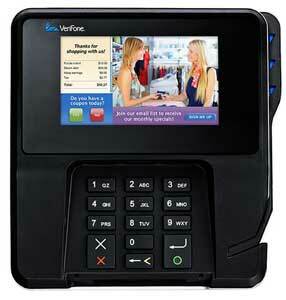 CenPOS now supports the Verifone MX915 signature capture terminal with a variety of point of sale solutions. While most new terminals in the market are EMV ready, CenPOS is EMV live with this Verifone multilane terminal. The Verifone can be used standalone with a computer, high speed internet and the CenPOS virtual terminal, or integrated with POS systems, including open source ERP retail POS solutions like OpenBravo. Merchants desiring integrated connectors should contact 3D Merchant services; the connectors are generally not available in POS add-on marketplaces. How do I reset Ingenico ISC 250 or 350 terminal? This entry was posted in CenPOS, Equipment-POS and tagged CenPOS, emv, multilane, pos equipment, signature capture, verifone by Christine Speedy. Bookmark the permalink. The Verifone footprint is 56mm (2.2in) H x 182mm (7.2in) W x 225mm (8.9in) D; 0.6kg (1.3lbs) weight. It can be optionally mounted on a stand.